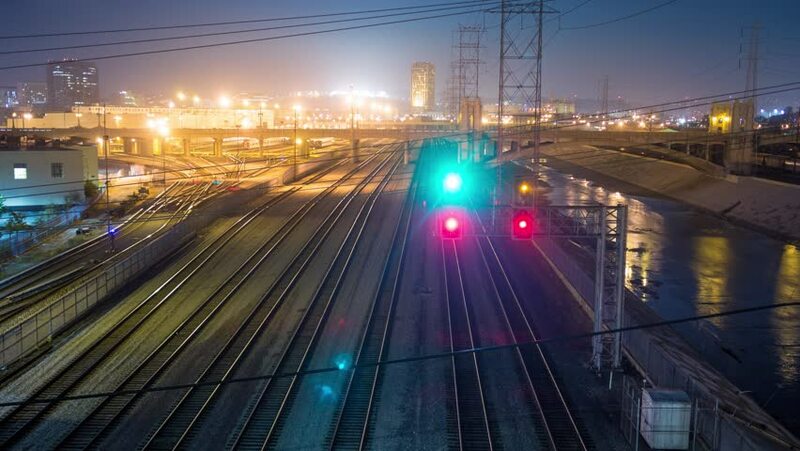 Downtown Los Angeles city at night with railroad tracks perspective. 4K timelapse. 4k00:10Downtown Los Angeles city at night with railroad tracks perspective. 4K timelapse. hd00:10Night crossroads at shanghai china. hd00:10time lapse of motion street in night. hd00:14Timelapse of intersection, La Ceniaga, Los Angeles, California.